It’s just the normal state of business, they say, some nightclubs thrive while others fail. That much is true, and there is little that can be done once a business is unable to complete a successful turnaround. But bars or nightclubs that close because of security lapses can often be pinpointed to a few things that go against nightclub trends. A nightclub needs security, but many managers fail to conduct “real” interviews or perform background vetting. It’s not enough to just have a sit down with a potential nightclub security employee. A professional, face-to-face, interview should definitely be conducted to assess the character of a person but it shouldn’t be a “traditional” interview. The best way to go about interviewing a prospective employee to be tasked with security is to have the actual security team sit in and ask questions during the interview. This way, there’s more than one viewpoint about a potential hire. Plus, the questions itself will come from people who have a security background. Background checks are also necessary, especially when employing security personnel in hospitality industries. A private organization can be hired to do the task or a full criminal background check can be ordered. Hiring security shouldn’t be about giving the first person you like the job; it should be a long process to ensure proper fit. Just because a security professional is hired to do a job doesn’t mean they know how to respond to every incident that may occur. They also need guidance, and that should be provided by employers. It’s common practice to just throw a new hire into the pit. They learn as they go. But there are much better procedures than that. For instance, a security hire should be put through on-the-job training for a few days where they are guided through policies and procedures by a senior employee. Formal training is still the best way to train security personnel. It’s more of a classroom setting where they are taught policies and procedures. They are then put on the floor with a senior employee to put knowledge into action. Managers may be busy thinking about nightclub trends to implement and fail to see what’s happening on the floor. This doesn’t mean they should be responsible for everything; they are there to oversee things and ensure everything is running smoothly. And the only way to ensure that is to properly train staff. Just because a nightclub is small doesn’t mean it requires less security. It is standard in the hospitality industry to have one or more guards for every 50 to 75 guests. So if a nightclub has a 200-person capacity, it needs four or more guards. 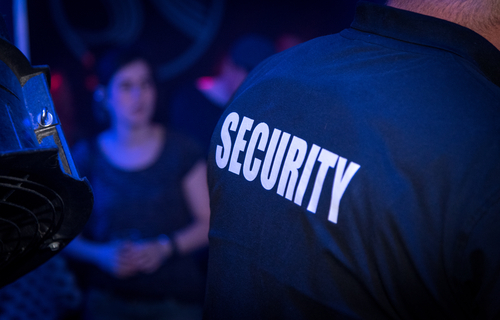 The implementation of new nightclub trends tends to draw in a crowd and a venue needs a full security team on board to ensure nothing goes wrong and problems are immediately addressed. Not every nightclub has a security policy manual, but that should change. It’s not just security personnel who should be looking after the place, but employees should have a part as well. There should be rules put in place and violating or not adhering to those rules should result in appropriate discipline. Nightclubs should be safe havens for everyone, from guests to employees. As such, proper security measures should always be in place. Contact us today for more information, or to review your current nightclub operations.